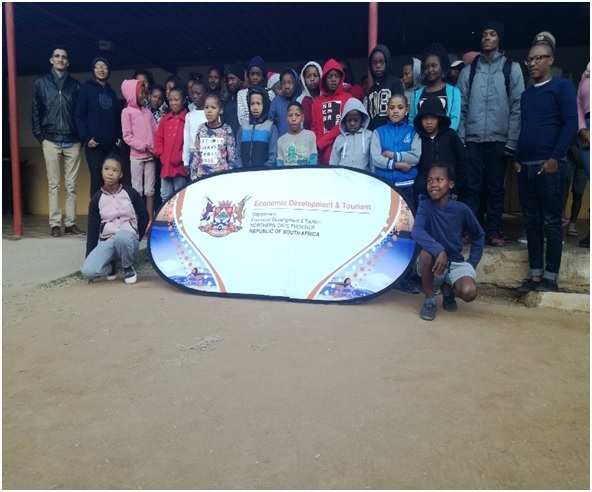 The Sol Plaatje University and the Department of Economic Development and Tourism held a Vacation Workshop in Prieska to equip the young people in the Northern Cape with ICT skills. 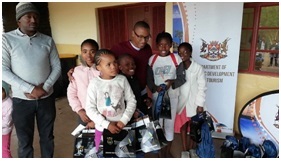 The Vacation Workshop took place during the mid-week of July holidays at the Empilisweni Youth Service Centre (YSC). 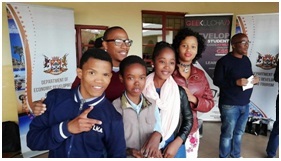 Young and unemployed youth acquired skills and solution in line with green technologies for the sustainability of the Northern Cape. The Vacation Work was under the theme of Northern Cape Green Pipeline: Economy, Innovation and Technology. On the first day of the week, the total number of 105 of young and unemployed youth were registered in the Vacation work programme to participate. 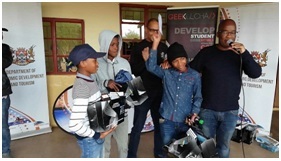 The programme was conducted by the GEEKULCHA, NCDEV, SOL PLAATJE and DEDAT. Induction was conducted by the mentors and the participants were divided into groups, wherein each group identifies the major problem that is taking place in the province and evaluate the ideas as well as digital solution that can be implemented to eradicate the stigma. During the VacWork programme, mentors from the departments assisted the people to build their prototypes and encourage them to work as a team. The teams were very cooperative, accelerating with a higher speed to see their projects to the positive conclusions. The teams worked very hard and they were confident and comfortable when the mentors taught them in the language they understand best. The young people didn’t take the Workshop lightly, most of them were determined to learn from the presentations and motivated to become Tech leaders of tomorrow. (YSC) and he was very impressed about the initiative. 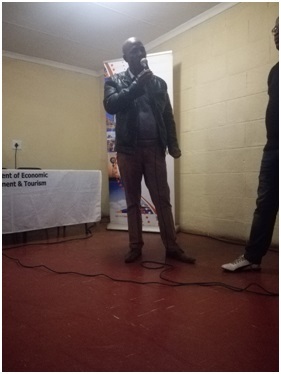 He urged the youth to give what they have learnt.“You were very good in executing what you are doing, I want to thank you and wish you all the best in these programmes that you are hosting with young children” said Mr Howard Tsume. Afterwards, the participants presents the projects they have been working on. During the presentations the candidates were very focused and confident about their inventions, most of the teams left the judges speechless after presentation. After the presentations prices were given to the top three teams that came out supreme. to report the electricity theft.